Earlier this year on a trip to my local Woodcraft store with my wife reluctantly tagging along, we saw these bottle opener hardware kits. Before I knew it, I had a basket full of them and a list of friends who would be expecting one. 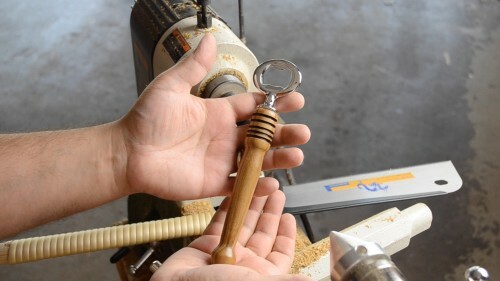 If you’re new to the lathe, or you just want a fun project that you can knock out in no time at all, one of these bottle opener kits is just the thing you’re looking for. Long time no See. Life has been getting in my way so I’ve not been on much in the Chats or My Pages to check on New Content. I have become a lathe addict. One can get their woodworking FIX…. with any of a zillion little projects. This is a FAMILY FRIENDLY thing as these small projects that can be completed in 60 minutes. They will not take you away from your wife and kids the entire weekend and weeknights like a big project is apt to do. I’ve also found that shaving handles and ice cream scoops are loved by all.